1. Income Tax (IT) Slab Changed: The Central Government reduced tax rate by 50% than previous 10% charged to employees in income group of Rs. 2.5 lakh to Rs. 5 lakh, to now 5% only. This move is intended to help people save tax by at least Rs. 12,500 per annum. 2. Penalty for Late IT Return Filing: A penalty of Rs. 5,000 will come to affect those who file IT return late for FY 2017-18. This penalty amount is applicable until filing IT return by December 31, 2018, after which a higher penalty will be charged if the same process is delayed further. One can use tools like income tax refund calculator to understand the returns available. For small tax payers in income group of up to Rs. 5 lakh, the penalty fee is limited to Rs. 1,000/. 3. Reduction in LTCG: The long-term holding period on immovable property that attracted a fee of 20% percent, was for three years earlier, but now reduced to just two years. 4. Base Year Lowered for Indexation in Capital Gains: The government has changed the base year of indexation of cost from April 1, 1981 to April, 2001. Those looking to cash in from long-term capital gains tax may not find this option much beneficial now onward. 5. Rewards on Redeemable Bonds: There are exemptions on taxes on investment in REC, NHAI bonds and for those who reinvest capital gains in stated redeemable bonds. 6. Premium on Insurance Increases: Higher insurance premiums will apply on that related to health, motorcycles, and cars as agreed by IRDA. The third-party motor insurances rates have also increased. However, no changes are done in tax refund loan or EMI system. 7. Aadhar Mandatory for PAN Card: Now Aadhar card is necessary when a person applied for PAN Card or files for income tax returns dated from July 1. Also, cash transactions have been limited to Rs. 2 lakh from the earlier proposed restriction of Rs. 3 lakh. 8. Simpler ITR Form: One page ‘Sahaj’ form is now the norm to file tax returns for tax payers up to income group of Rs. 50 lakh, but business income is non-applicable under this condition. Those who are filing return on taxes for first time in this section will not be scrutinized by the I-T department. 9. 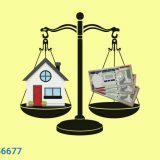 Penalty on Withdrawal after a Limit:If a minimum balance (as per rules of bank) is not maintained in savings account every month, then the person has to pay an asked service charges plus service tax. As per SBI rules, the minimum bank balance to retain is Rs. 5,000 and failing to do so will incur Rs. 100 plus service tax as penalty. If the balance is below the 75% of amount needed, then a lesser penalty will be levied, and henceforth. 10. No Tax on Partial Withdrawal on NPS: There will be none tax to pay on partial withdrawal funds from National Pension System (NPS). So, one can withdraw 25% of the amount before their retirement, in case of emergencies. 40% of the corpus at retirement is also tax-free on withdrawal. 11. No Deduction Benefit on RGESS Scheme: No deduction will be available on investment pertaining to Rajiv Gandhi Equity Saving Scheme, which was earlier offering 50% deduction on the invest amount from the taxable income for that particular year under 80CCG. 12. TDS on Rental Payment: Now 5% tax deducted at source (TDS) will apply for rental payments of more than Rs. 50,000. This will go in effect from June 1, 2017. The above-mentioned changes in the tax regime may bring certain repercussions and benefits for Indians. 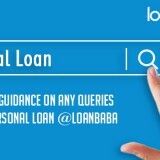 To understand taxation system of the country in detail, visit the website loanbaba.com, which is also an online platform where one get loan in a jiffy without having to visit banks or NBFCs personally. Just compare top banks for loan in India and use interest rate calculator among other free financial tools on this website to manage your finances and taxes effectively. 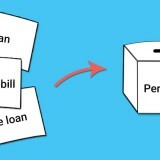 Next story Home Loan Tax Benefits- What Does it Have in Store for You?